Man covered in ice pulled from DesMoines RiveDES MOINES, Iowa —City workers along the Des Moines River spotted a man in the river Monday. The man was seen near Sixth and New York avenues just before 1:30 p.m.Rescuers arrived to find the man clinging to ice in the river. 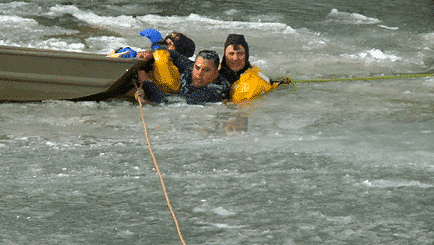 Workers in wet suits designed to handle the frigid water used a boat to help bring the man to the bank. At one point during the rescue, the man started swimming away from them.When he was brought to the river bank he was covered in ice, but appeared alert and OK. The man was taken to a hospital. He has not been identified and his condition is not available. The air temperature at the time of the rescue was 14 degrees.Authorities said they believe the man jumped into the river. Monclova Fire Dept. 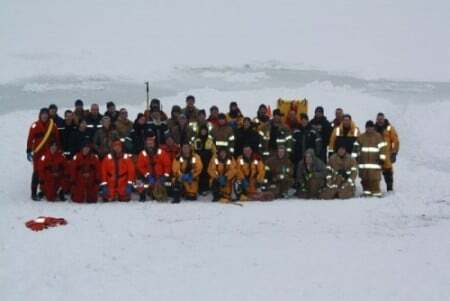 Ice Rescue I January 26, 2014 – Great Job Guys! 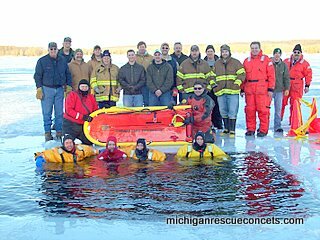 MICHIGAN RESCUE CONCEPTS (MRC) offers the finest open water and ice rescue courses in North America! We don’t waste your time with statistics and theory; our courses provide crucial inform ation and Hands -On-Training to prepare your personnel for real life scenarios. We place a strong emphasis on RESCUER SAFETY. 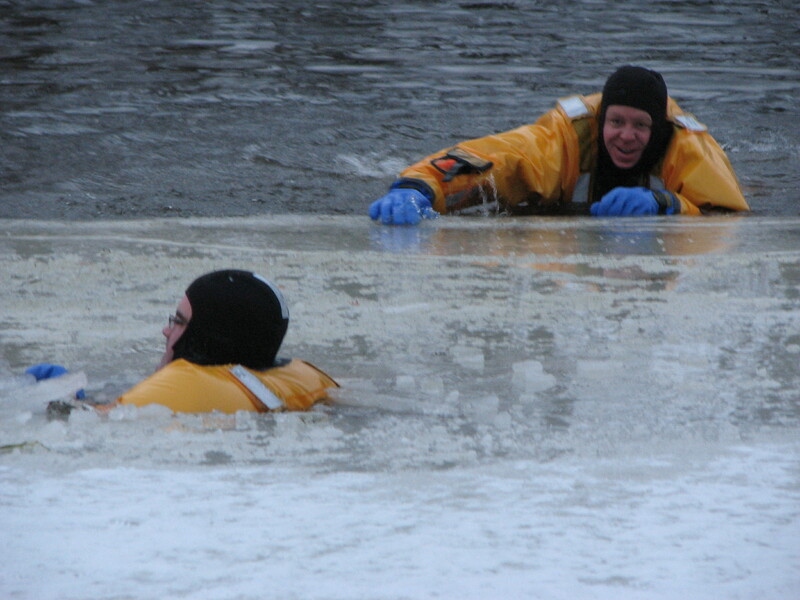 All MRC Training Courses are NFPA 1670 compliant for water rescue standards. Classes are one or two days and include classroom and practical portions. Personnel are certified after successful completion of course and final exam. Our classes are created and priced to ensure the most effective training possible for your carefully budgeted dollar. PLEASE CONTACT US SO THAT WE CAN CUSTOMIZE ONE OR MORE OF OUR COURSES TO BETTER SUIT THE NEEDS OF YOUR JURISDICTION! (586-784-9320)Please keep in mind that our seminars can provide continuing education credits for EMS Personnel. (We appreciate if you allow 60 days advance notice, if this is desired, so that we can coordinate the necessary certificates. 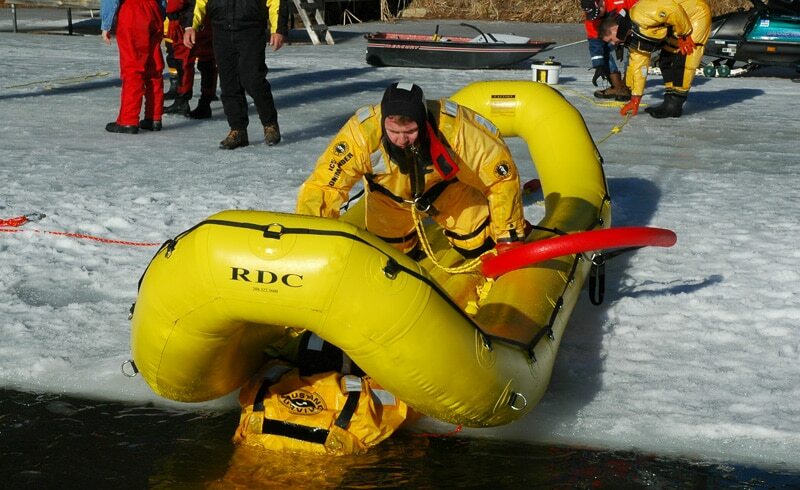 1) ICE RESCUE I – Technician Level Course Length – 1 day Description – MRC is proud to say that this class is the finest ice rescue class available in North America. 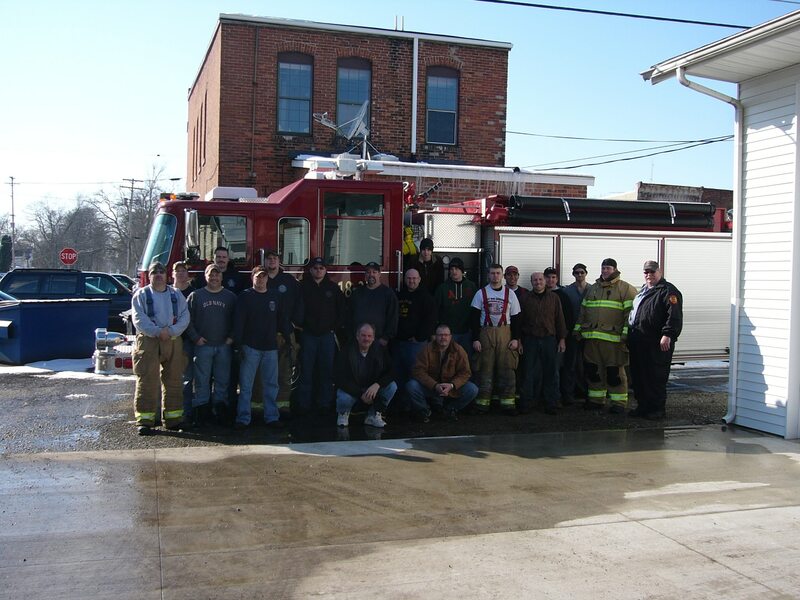 We have trained and certified hundreds of firefighters and public safety agencies since our inception. To prepare your personnel for real life scenarios, it is pertinent that this class take place at your location. 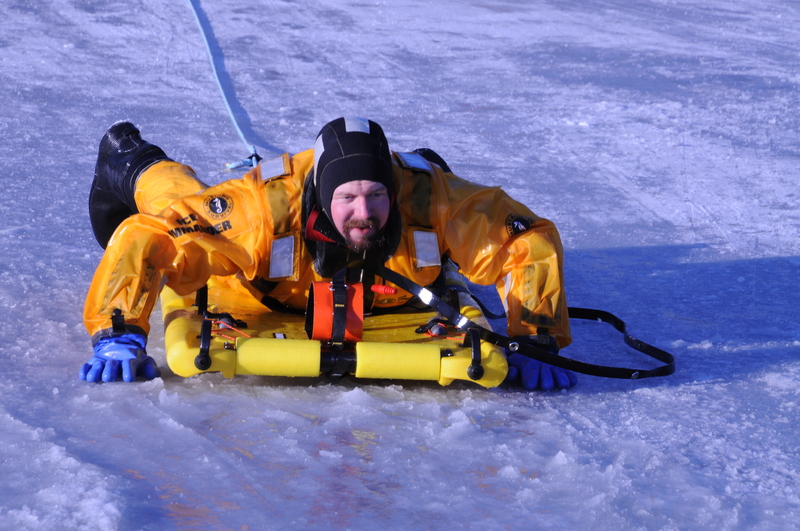 Trainees will become knowledgeable about ice hazards, the characteristics of ice as well as the associated strength guidelines. The student will understand the 3 NFPA training compliance guidelines and know the limitations of each. Incident Command System knowledge will be covered. Hypothermia care, Patient handling, Throw Bag Techniques, Self Rescue Skills and proper use of Specialized Ice Rescue Equipment are all critical components of this training, as well. 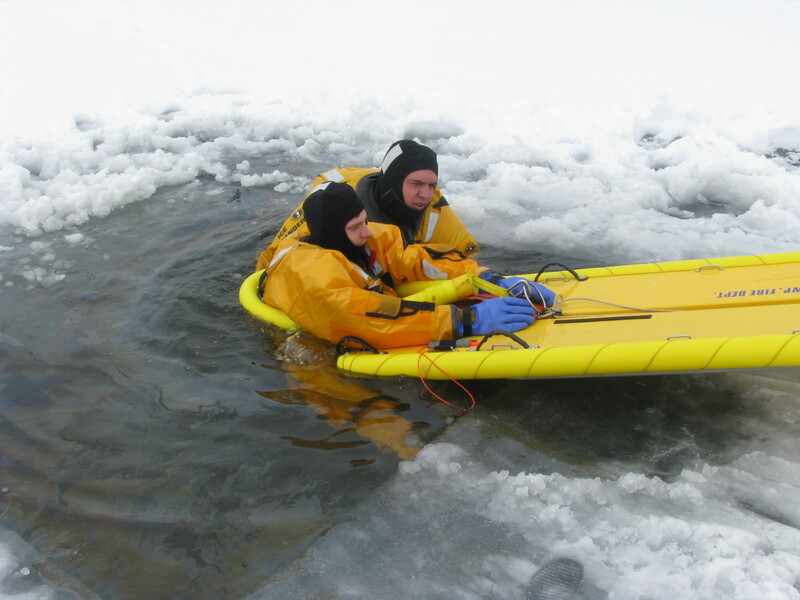 2) ICE RESCUE II Length – 1 day (Can be done on a 2nd day or in the evening 3-11 following Ice Rescue I) Description – This course is intended to further develop skills covered in the Level I class. Sub-Surface Recovery, Multiple Victim Rescue, Scene Assessment and Application Skills for Multiple Scenarios are covered in great detail. Each student is faced with potential rescue situations including “live victims” and allowed to handle the scene. These Test Scenarios are timed and critiqued as part of the skill-testing required to receive certification. 3) BASIC WATER RESCUE w/Boat Ops Length – 1 day Description – This course can be conducted on a lake or a major river, depending on your needs. After successful completion of this seminar, your personnel will be able to demonstrate basic water rescue safety knowledge. 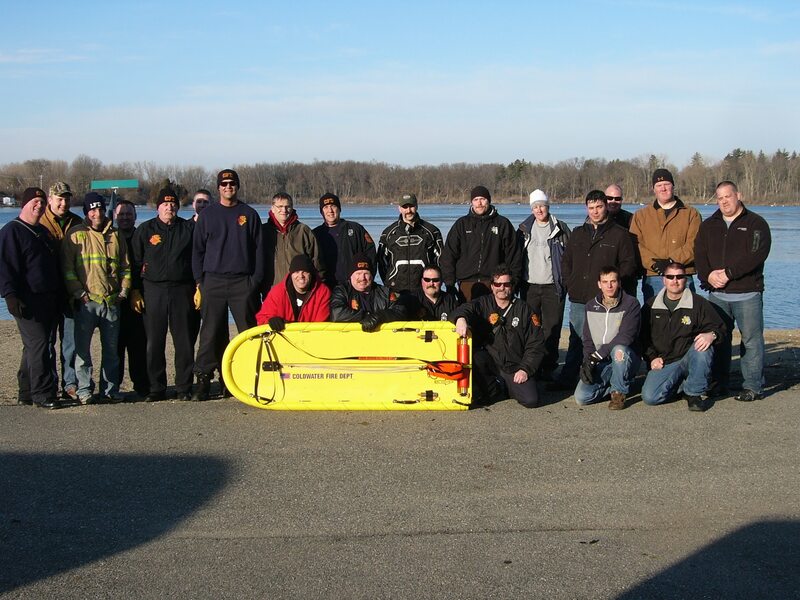 Your team will be trained to properly maneuver a rescue boat to aide in victim retrieval. The student will also obtain a working knowledge of boats, motors, and critical boating safety skills. Often taught in conjunction with Basic River Rescue for a two day class. 5) SWIFTWATER/FLOOD RESCUE – This is a three day course approximately 8:00 a.m. to 6:00 p.m. daily. Students who successfully complete the classroom portion, practical evolutions, and final exam will receive “Technician Level” certification compliant with NFPA 1670 & NFPA 1006. Class size may range from 10 – 25 students. This course takes the student through the Awareness and Level training according to NFPA guidelines. 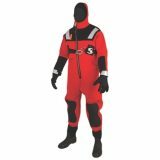 This course covers swiftwater/flood rescue operations, throw bag techniques, shore and boat based rescue, offensive and defensive swimming, reading the river/flood for hazards, self rescue techniques, entrapment, rescue and rope rigging. The second phase of this course focuses on individual ability to fulfill the physical fitness requirements to be an effective technician for swiftwater/flood water rescue operations and includes a timed distance swim of approximately 300 meters in 12 minutes. The final phase of this course and final exam consists of potential rescue scenarios with live victims wherein the rescue team must prove to be proficient in their efforts. These test scenarios are timed and critiqued as part of the skill testing required to receive certification. 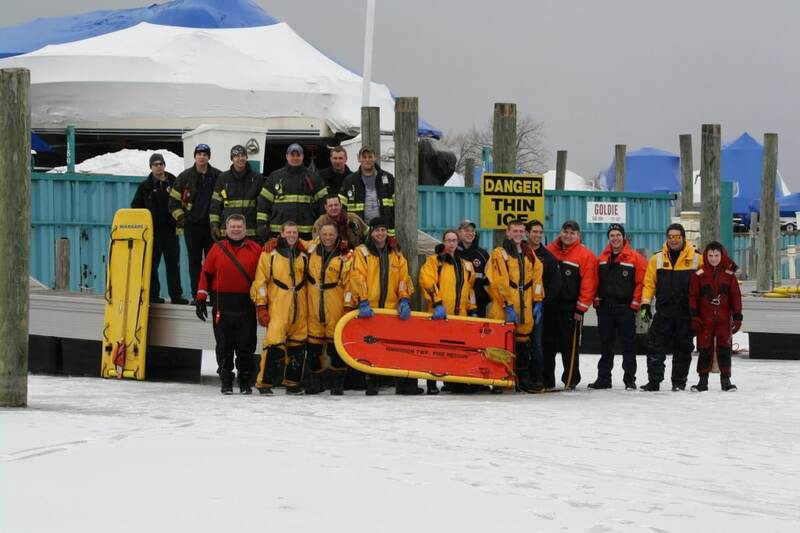 Saturday, February 9, 2019 – Ice Rescue II – Michigan State Firemens Association, Lapeer, MI – OPEN Class Contact us for more information. Call for more details – thank you!